1. What Apple devices can I play Winx Fairy School on? Winx Fairy School can be played on iPhone 4 and above, iPad 2 and above and iPod Touch 5th generation and above. It require iOS 7 and above to run. 2. What Kindle devices can I play Winx Fairy School on? Winx Fairy School can be played on Kindle Fire second generation and Kindle Fire HDX. 3. Will my Android device run Winx Fairy School? Android devices running Android 3.0 and above should support Winx Fairy School. If you can’t find Winx Fairy School in the Google Play Store this could mean that sadly the device is not compatible with your Android device. Winx Fairy School requires Android 3.0 to run, if you don’t have this then you won’t be able to see Winx Fairy School in the Google Play Store. 5. How do I add friends? To add a Fairy Friend, press the menu icon on the left hand of the screen, then chose my club. Next click on the add friends button, type in the name of your Fairy Friend and click done. Double check the spelling :) Some names can be spelled slightly differently.You may need to add spaces between the words (or even make sure there are no spaces). If it’s not spelled correctly the pixies won’t be able to find it, or you could add someone else. 6. How do I visit my friends dorm? Check you are connected to the internet. While you don’t need the internet to play Winx Fairy School, you do need it for the multiplayer features. Once you have checked this try again. If you are still having trouble email our technical support team on support@playwinxclub.com they will be happy to try and fix any problems that you have. 7. How do I find the Hidden Treasure? You can find the hidden treasure all over Alfea and in the game rooms. It’s randomly generated to make it more exciting, so we can’t tell you exactly where it will be in each level. Here is a quick guide on how to find the treasure. Check all around the grounds of Alfea: Swipe around the castle and the grounds. Check the gardens, behind Faragonda’s Office and the courtyard. It might not be easy to spot straight away. Check the Professors Rooms: If you click on the circular icon for each room, you will see the window and the Professors avatars. If the treasure is in this room, you should see it in the window beside the character. if you spot it, enter the room the treasure should be there. The Treasure will not be found in your dorm, Bloom’s Dorm or Stella’s Boutique. The Treasure is not always easy to find, so have a really close look for it, move the room around, it could be hiding! Still can’t find the treasure? Email our tech support team at support@playwinxclub.com who will help you to try and find the treasure. Check above the towers, above Faragonda’s office and in the courtyard. 8. Why can’t I hear music? Check the volume level of your device it may be lower than you thought, if it is try turning it up a little. If you are using an iPhone, iPad or iPod do you have the mute button switched on? The mute button is on the side of the device. If so switch this back up and the music should come on. Have you made sure that you have enabled music within the Winx Fairy School app itself. If you were listening to music before selecting the Winx Fairy School icon, make sure that you have turned it off. It may be a good idea to go back out the game, quite the music application and then head back into Winx Fairy School. The device may not recognise the change and this is why you may not be able to hear sound. If you have tried these tips and it still doesn’t work, contact our tech support team at support@playwinxclub.com. 9. I’ve finished the game, what do I do now? Congratulations on achieving your Believix Wings, that’s awesome :) Here’s some suggestions on what to do next. Once you have your Believix Wings, why not put them in your dorm and show them off to all your Fairy Friends? Now you can go where you want and do what you want! You can grow new plants and potions and collect hearts to get new outfits and dorm styles, why not see if you can complete your dorm or style collection? You can also restart the game again and choose a new fairy name and power and get a different set of Believix Wings. To do this make sure you have played while connected to the internet to allow any changes you have made to your dorm to register. Then uninstall Winx Fairy School (Don’t worry you wont loose any information or your save). Now reinstall it, it will give you the option to play as your old save or the new one. Why not create a new name and Fairy Power to get new Believix Wings. Look out for new updates coming to this feature soon, we will be making it easier to play the new game and collect all the Believix Wings for your dorm. 10. Will there be updates? Yes! We want to make a game you will love to come back to and play all the time! We want to pack it full of new exciting content that will keep you wanting explore and enjoy Winx Fairy School. We will be releasing regular updates, adding new content including new fashions, dorm items and level packs. 11. What do I do with my Believix Wings? 12. What transformations are there in the game? At the moment we are focusing on the Believix transformation, we wanted you to start your own fairy journey and decided to use the Believix transformation as it was one most people would be familiar with. Why not let us know what transformations you’d like to see in the future. 13. Do the pets move? Not at the moment. If enough Winxers ask us for moving pets, perhaps we’ll add the feature :-) Get in touch on our Social Media channels. 14. Can we have Specialists? 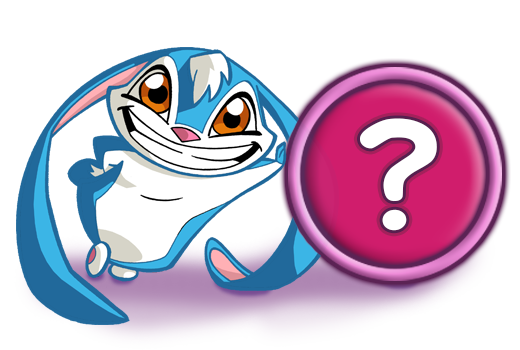 If enough Winxers ask us for Specialists perhaps we’ll add the feature. Get in touch on our Social Media channels.